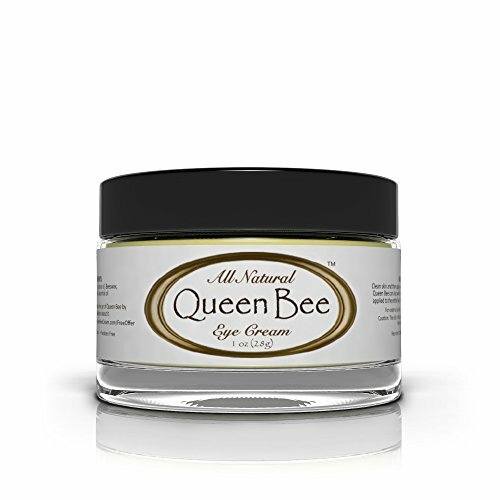 Queen Bee Eye Cream is carefully hand made using only the highest quality 100% All-Natural Ingredients. This wonderful cream removes under eye circles, fades facial lines and wrinkles and keeps skin around the eye looking healthy, youthful and vibrant. All without harmful and dangerous chemicals found in most store bought skin care products. Queen Bee Eye Cream works because we do not skimp on the quality of the ingredients. The National Institute of Occupational Safety and Health has stated that nearly 900 of the chemicals that are used in most cosmetics and skin care product are toxic and cancer causing. Most mass produced, brand name skin care products have a long list of hard to pronounce chemicals and often these products use the cheapest ingredients possible. Even so called organic or all natural cosmetic products will use chemicals or dyes during processing that are not listed on the label. Even the fragrances found in skin care products can be carcinogenic. Queen Bee Eye Cream is one of the few cosmetic products available that uses all-natural, organic ingredients and is 100% chemical free. If you have any questions about this product by QUEEN BEE, contact us by completing and submitting the form below. If you are looking for a specif part number, please include it with your message.